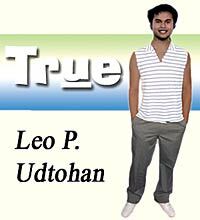 Leo P. Udtohan's previous column with the latest stories and tsismis straight from Bohol's society. Now replaced by Bared. You can subscribe to our RSS feed to see new articles in this section as soon as they go on-line. 41 articles found; articles 1 to 20 are shown. General informative articles about Bohol, that introduce you to the wonderful island province and its people. News items and articles that cover current events. Lyn's Recipes Corner brings you the most delicious Filipino and international food. Reviews of Philippine related books and movies. Your own webmaster's ramblings on subjects related to Bohol and the Philippines, looking from half-way around the globe. Announcements related to Bohol can be added to this section. Just send them to jeroen@bohol.ph. Leo P. Udtohan's new column, keeping you up to date with Bohol's society. Our column for legal questions and answers. Pages on each individual municipality, with local information, touristic highlights, and other noteworthy tid-bits.